Read these powerful stories of Christian social service in Whanganui. “I first met Shirley-Joy when she and her husband (Rev Tony Bell) came to see me in my Electorate Office at Mt Albert. Shirley-Joy wanted to raise concerns over the lack of adequate mental health services for people she worked with. An ordained minister, Shirley-Joy was working in the community supporting people towards a future free from harming themselves and others. I learned that Shirley-Joy’s early life had not been easy and that she had set about working for those who were disadvantaged. Her experiences made her an ideal person to be doing the work she was doing. Shirley-Joy had a big heart and a concern for people whom society would often rather not know about. As Prime Minister and attending the Rātana annual celebrations, I met Shirley-Joy again and we chatted over a cup of tea. She was now the City Missioner in Wanganui. I was impressed with her tenacity and her sense of hope for the city and its people. As City Missioner, Shirley-Joy hoped to bring to people in need of the basics of life: shelter, food, hope, and love. Mission in the City writes about times when the City Mission was helping unprecedented numbers of people by providing emergency and permanent housing, by feeding individuals and whole whānau, by providing drop-in centres for those in need of a friendly and safe space, and by offering budgeting services – all under Shirley-Joy’s protective and fostering eye. 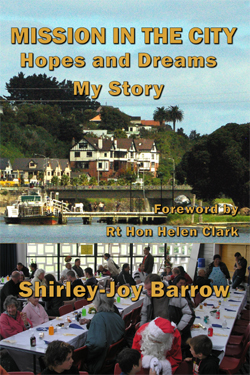 Servant minister, Deacon Shirley-Joy Barrow shares her inspiring story of being City Missioner in Whanganui, New Zealand from 2004 to 2011. There must be clear governance and management policies, and effective lines of authority and communication. Finance and fund-raising responsibilities need to be clearly delineated with accountability accepted by all parties. Faith is not the same for everyone. A Christian based social service should be based on biblical principles. Corporate business models do not work for social service agencies. “Wherever Tony and I went, we were always aware of needs within our community, and connected with people struggling with their lives. We often had extra people living with our family and we would never turn anyone away who expressed a genuine desire to change their lives. I believe life is about finding out who we are, what we want to do, and how we might do it. For me, it is less about why things happen the way they do, and more about how we handle ourselves when things happen. It is about how we treat other people. I have interviewed a number people since 2012 who shared the hopes and dreams from their involvement in the Wanganui Mission (the Mission). It is with their permission I include their stories; some will be named and others not. Many times in my life I have been blessed with people who encouraged and supported me through difficult times, and celebrated with me in successful times. Family, friends, colleagues, clients, staff members, volunteers, board members, those in other community groups and government agencies – all helped me improve my life. 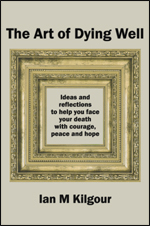 It is through their encouragement and support that I have found the courage to write this book. As the Buddhist wisdom says, “When the pupil is ready, the teacher arrives.” I have had many wonderful teachers and guides throughout my life, and they still arrive when I need support or have new lessons to learn. Baby Jericho and his Mum. 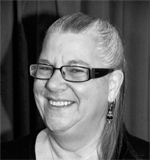 Deacon Shirley-Joy Barrow has been in community ministry and social work with many organisations since her early 20s. Her career has included setting up a rehabilitation hostel for young people and a halfway house for abused women, men and their families; driving ambulances and school buses; working in rest homes and a prison; and managing the Whanganui City Mission. She has trained in counselling, family therapy, professional supervision, transitional ministry and child protection, and served on the executive of the Diakonia World Federation. Christian social service, Whanganui, Wanganui, Methodist, urban mission, welfare, foodbanks, friendship, social housing, emergency housing, homelessness, New Zealand, deacon, governance of charitable organisations, governance vs faith, communication, personal stories, volunteers. funding of social services.